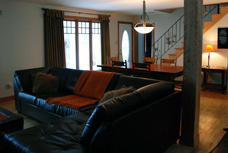 This is a 4 Star rated residence by the (Corporation de l’industrie touristique du Québec) CITQ Quebec Tourism Corporation. 4 Star classification describe the house as high comfort, offering superior conveniences and full services facilities. Located in the municipality of Ogden near the Quebec/U.S. 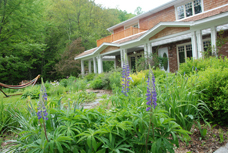 border, this charming four-season cottage overlooking majestic Lake Memphremagog is a peaceful home-away-from-home, where you can commune with nature without sacrificing comfort or convenience. 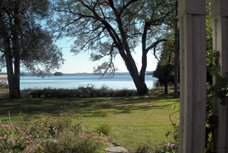 The cottage can comfortably accommodate up to 10 people. The first floor is open and spacious, with a large kitchen, adjoining living and dining areas with fireplace and an entertainment area with a pool table, bar and home theatre system complete with HD TV and Blu-ray. Wood or tile flooring throughout. Smoking and pets are not permitted. Two ovens, dishwasher, microwave, toaster, etc. Play Yard for child - "playpen"